By sponsoring a tree(s) to be planted with Our Planet Foundation (OPF) you can help give back directly to the natural habitat of the great green macaw’s food sources and of course at the same time contribute towards our planets air quality! Our long-term plan has been to plant 500 trees as a primary goal towards giving back a vital food source for the spectacular and endangered great green macaw birds! Help us reach that goal by sponsoring a tree with us here at OPF helps us reach that goal one tree at a time. How does the Tree Sponsorship program work? The OPF tree sponsorship program is run by OPF's founders and caring volunteers by helping create sustainable living conditions for all our animal species. By generating funds for trees, each donation enables us to give back the necessary habitat and vital food source to the great green macaw as well as many other natural bird and animal species to our area. 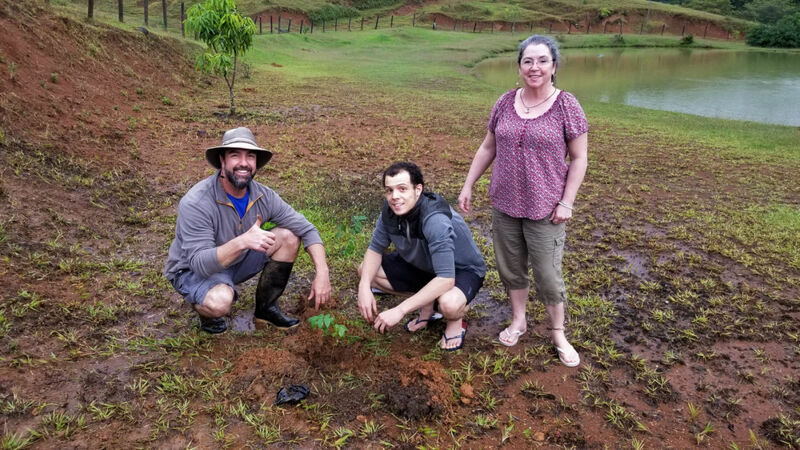 Each $5.00 contribution will cover the cost of the tree, delivery, planting and contribute to the running of the project so we can make the most of caring for the tree that you have sponsored. Contributions made with us here at OPF go 100% towards preservation.